Dentures or dental implants? 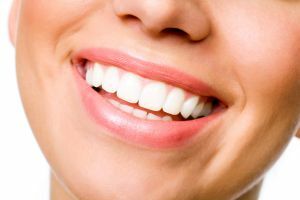 Oftentimes dentures win out due to the more affordable cost, even if dental implants may be the more comfortable option. But how much do dental implants cost without insurance and with a 1Dental discount dental plan? You’ll be surprised how much you can save! See full fee schedule and cost near you by entering your zip code in the search box. What about when you have a discount dental plan? Below is the breakdown of price for a single dental implant in the state of Texas with the Careington Care 500 Plan. Again, cost may vary depending on location and how many implants you need. There are many moving parts involved with dental implants, and it typically takes about five months to complete the implant in the lower jaw and six months to complete one in the upper jaw. Below you can see what’s needed for the dental implant and a brief overview of how the process works. which is attached to the implant using a screw. The abutment connects the implant and the crown. which is the crown. It is screwed or cemented onto the abutment. Before any work can be done, you’ll need to visit a prosthodontist or a general dentist with training in placement and restoration of dental implants. A comprehensive examination will need to be conducted first. This examination will help your dentist determine what needs to be done during surgery. If there are any decaying teeth that need to be removed, this step will come first. Your general dentist should be able to perform this task. Once there is enough bone to hold the implant (bone grafting may be needed), the first procedure will be scheduled so your dentist or prosthodontist can place the implant in your jaw. After the implants are fused with the bone, the second surgery will be scheduled. During this second surgery, your surgeon or dentist will check the implant and then place a healing collar on the top of the implant. Once the tissue heals around this collar, the collar is removed and the abutment and a temporary crown is screwed into the implant. When the temporary crown has been in place for four to six weeks, your dentist will have you come in to get the permanent crown put on – which has been at the lab being made. To save on dental implants, sign up for the Careington Care 500 Plan with 1Dental by visiting our Careington Care 500 Plan page.